I’ve had the pleasure of traveling to London a fair share – first when I studied there one summer in university and again when I landed a job headquartered in London. I’ll never forget the first time I went to Taste of Britain during my first week there – the samples, the classes, the demos…I was in heaven. Soon after, I realized how much London has to offer in terms of culinary delights. I thought it’d be wise to share my insider tips for eating in London. Whether you are there for an overnight layover or are planning an extended stay, be sure to check out these places and be prepared to dine like a king. 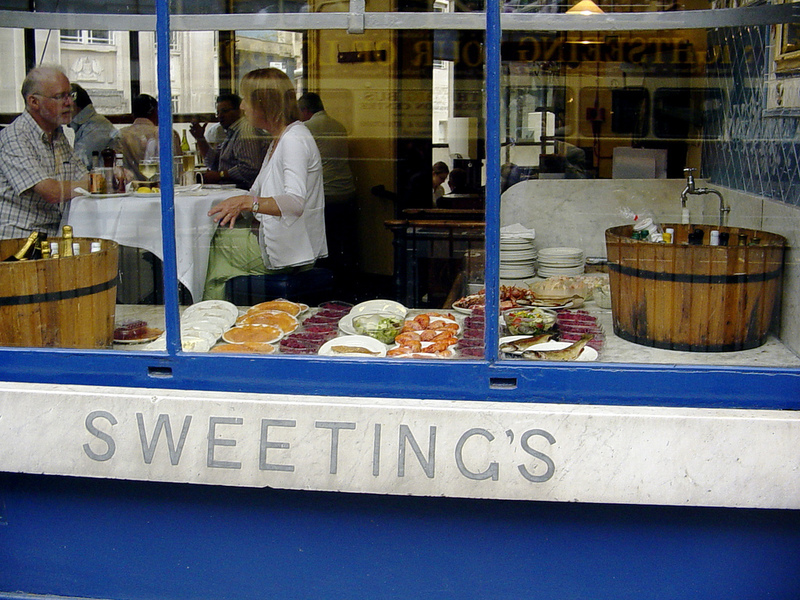 This is a really cool, old world place to get amazing British food, especially fish. It’s pricey, I spent about 25 quid for lunch, but the portions are ridiculously big. I had smoked haddock and poached eggs with a side of “Bubble and Squeak,” a really British side dish made of leftovers from Sunday’s roast that resembles a little pancake patty. Insider’s tip: Apparently patrons go there and will wait to make sure they get the same waiter. If you’re curious, I had Alison. 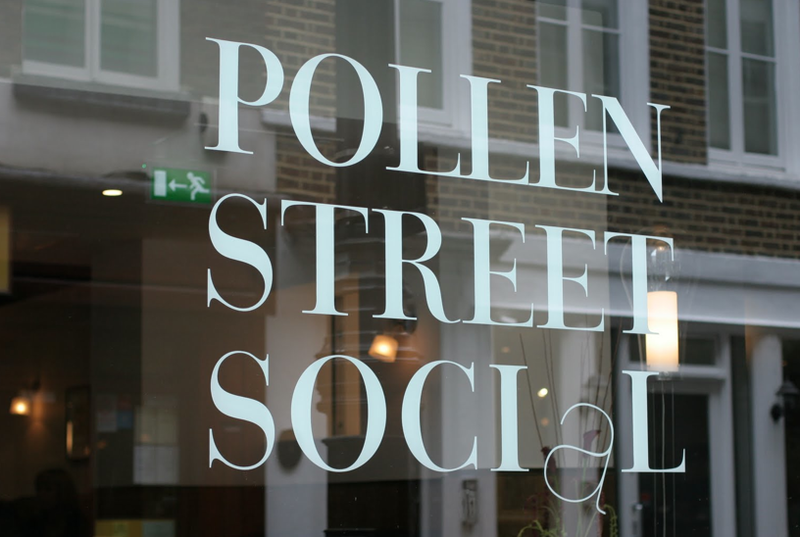 She was a wealth of information and even called Pollen Street Social for me to make a reservation for dinner that same evening. Oh, and lunch is the time to go to this quintessentially British haunt. I went here and ended up dropping about 80 quid by myself. But it was soooo good and the service is impeccable. The cuisine is simple, fresh fare – think rustic, where the ingredients really stand on their own. While the entrees are incredibly well executed, the best part is hands down dessert. They don’t tell you this when ordering, but you pay about 8 quid for a dessert and then they take you to the dessert bar to watch the pastry chefs make your last course. You can talk to them and ask them anything you want – they are really friendly willing to tell you anything you want to know about what they are making. The best part? What turned into one dessert was 4.5 – they just keep bringing out all these “starter” desserts. It was intense (they had to practically wheel me out! ), but so worth it. While your menu probably won’t be the same, if you are curious I had 1) a sangria granita, 2) spice pumpkin cake, 3) goat cheese rice pudding with plums, 4) basil sorbet, and 5) chocolate sweets. 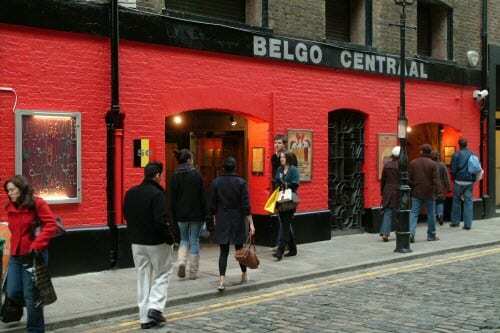 I wouldn’t say this is traditionally British, but you can get about 3-dozen mussels and awesome Belgian beer for under 15 quid, so if you are into beer and mussels, I had a good time here. 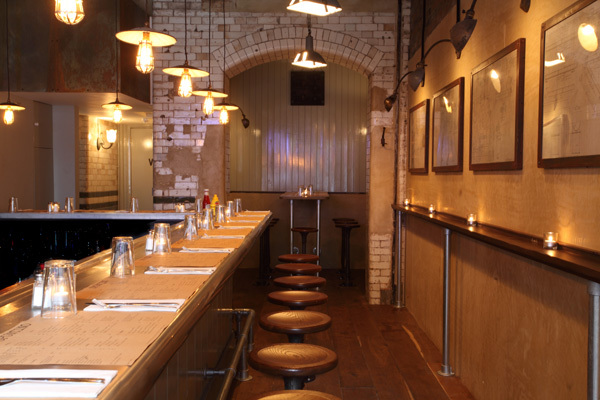 It’s full of communal tables and just has that Bavarian vibe – enjoying a drink amongst good company. I went to the wine bar downstairs, which offers a good selection and cheaper menu than the finer dining upstairs. Plus, it’s just cozy. I had the paella – I would have never ordered this on my own but a British coworker insisted and we ended up having the best meal at the table. So if you like wine and want some paella (to be shared for 2) I’d recommend this place. These sister restaurants are all in the same area and similar in concept – intimate Italian small plates. Sputino is the one odd man out, taking on an American prohibition theme. All of them are owned by Russell Norman, and all are equally as fantastic, not only for the food but the epic ambiance. 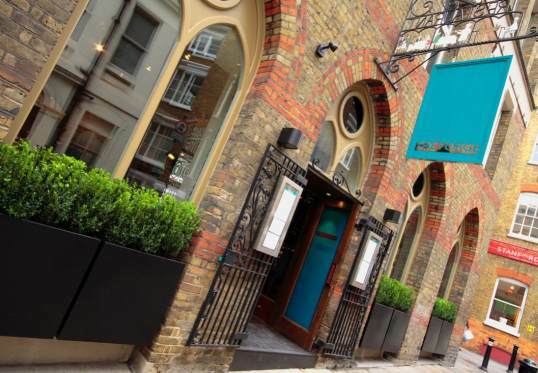 These are by far my favorite restaurants in London. If you have time, head over to Borough Market, which is a food market paradise. Insider’s tip: Check out the mushroom pate guy (Moi Pate is the name I believe) – it’s amazing and sells out every morning (and travels/freezes well!). While you are at the market, check out Monmouth coffee. I am convinced this is the only place you’ll find real coffee in London besides Algiers (Dean St – internationally recognized, I bought a ton of beans here). Sorry I’m hating, but I’m from Seattle and we love our coffee. I hope this helps make some sense of the countless eatery options in London. Do you have any other favorites? I’d love to hear about them!